Naples, Fla. – Top-rated golf course architect Tom Fazio recently visited with the new owners of The Club at Mediterra to provide advice for maintaining and updating the two championship courses he designed a decade ago. In December the members purchased The Club at Mediterra from the community’s beleaguered developer, Bonita Bay Group. The purchase price was not disclosed. 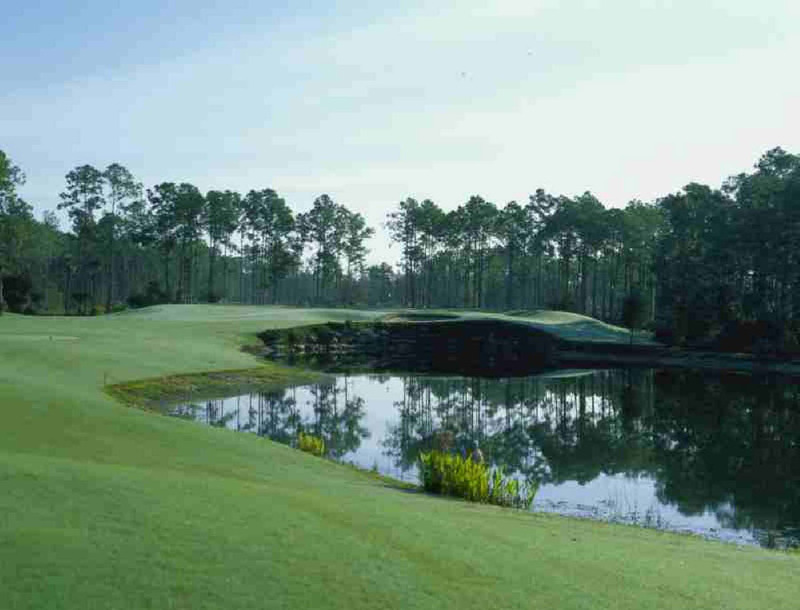 Bonita Bay Group, based here in southwest Florida, is considered one of the country’s preeminent developers of private upscale golf and country clubs. But a run on membership redemptions coupled with mounting debt has left Bonita Bay with numerous troubled assets and few buyers. Mediterra, one of the most exclusive clubs in the Naples area, is one exception now that the club’s members boldly acquired the club two months ago. The members now own all the Club facilities including the two Fazio-designed championship golf courses, an 1,800-square-foot golf learning center and short-game practice area, the 25,000-square-foot clubhouse and the Sports Club with five Har-Tru tennis courts, an outdoor pool, three spa rooms and fitness center. The members also own the private Mediterra Beach Club on the Gulf of Mexico which features an elevated swimming pool, expansive sundeck, and indoor and al fresco dining. Schmidt explained that no living designer has more credits on Golf Digest’s list of America’s 100 Greatest Golf Courses and Golfweek’s collection of America’s Best as Tom Fazio. The Golf Digest poll for Best Modern Day Golf Course Architect was discontinued after Tom claimed the award three consecutive times. “Fazio is considered by many people to be the master of golf course design and it means a great deal to have him spend a day touring the courses and advising us on what we should consider going forward,” said Schmidt. The Club at Mediterra has achieved national recognition as one of the top golf facilities in America. It has been honored with the Environmental Leaders in Golf Award from the Golf Course Superintendents Association of America and Golf Digest magazine and has been named by Golf Magazine as one of The 50 Best Golf Communities in America. Mediterra has also been named one of the top 100 golf communities in America by Travel + Leisure Golf for four consecutive years and twice by Links magazine. It was the first-ever 36-hole course to earn Audubon International’s Silver Signature Sanctuary status. Mediterra is located on Livingston Road two miles north of Immokalee Road in North Naples. For additional information, contact The Club at Mediterra at 239-254-3022. 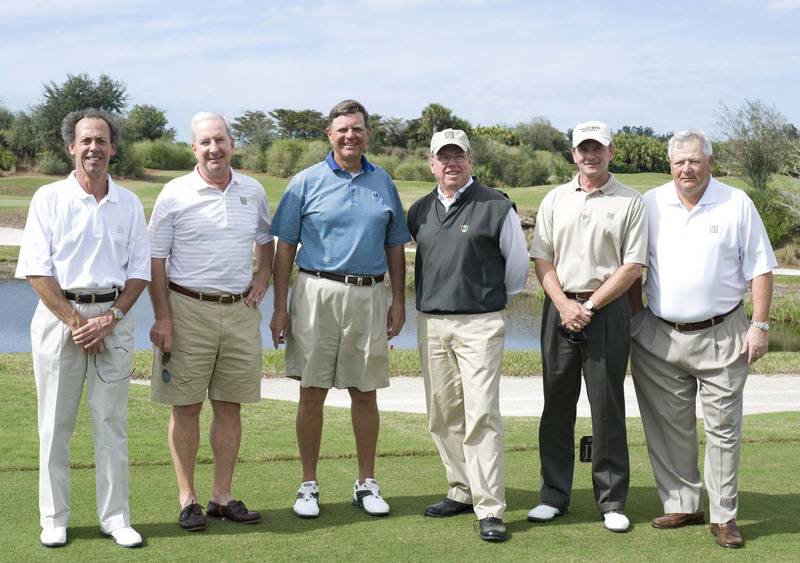 Tom Fazio, 4th from left, poses with Mediterra members.